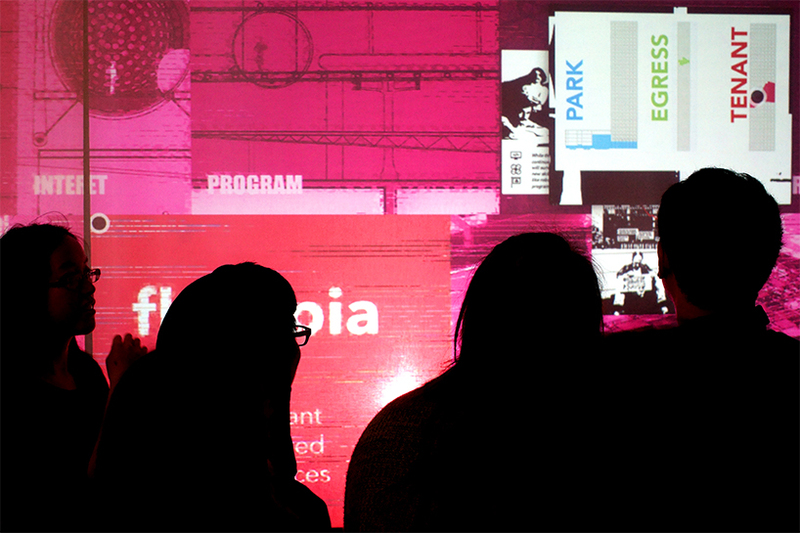 the final presentation of undergraduate architectural thesis projects from the 2014-2015 jackson studio at the cal poly college of architecture and environmental design culminated in the interactive exhibition ‘striptease’. 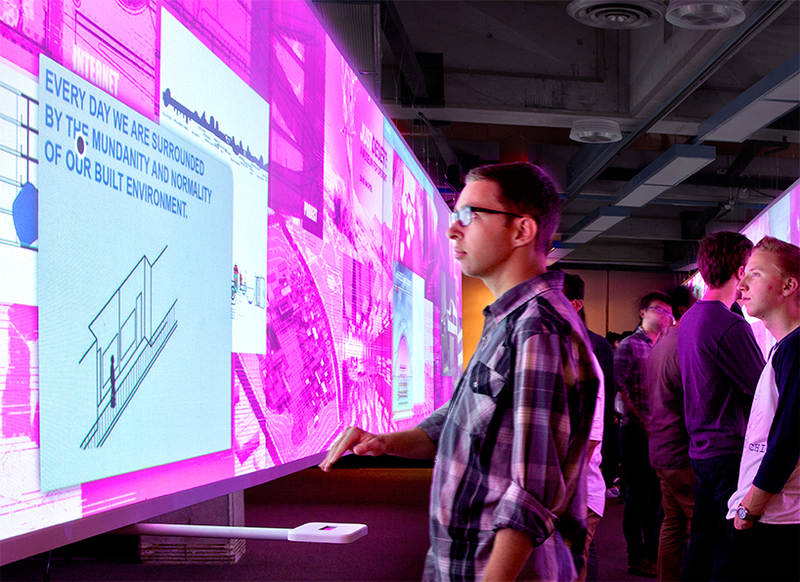 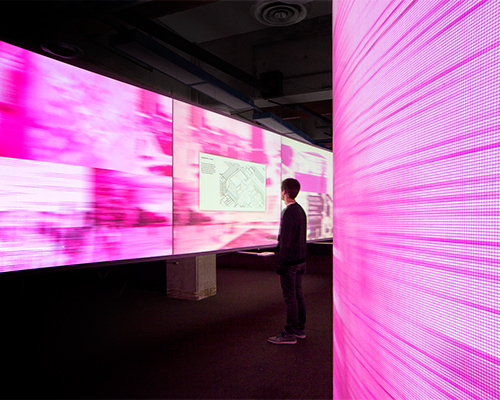 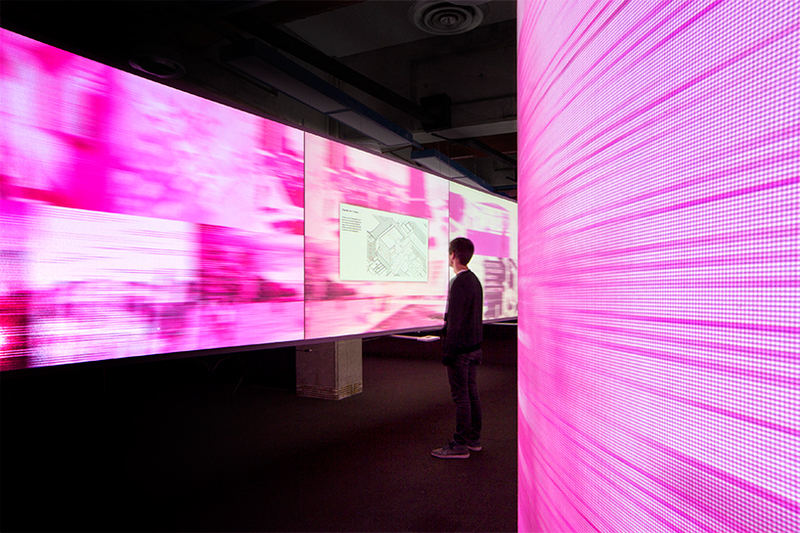 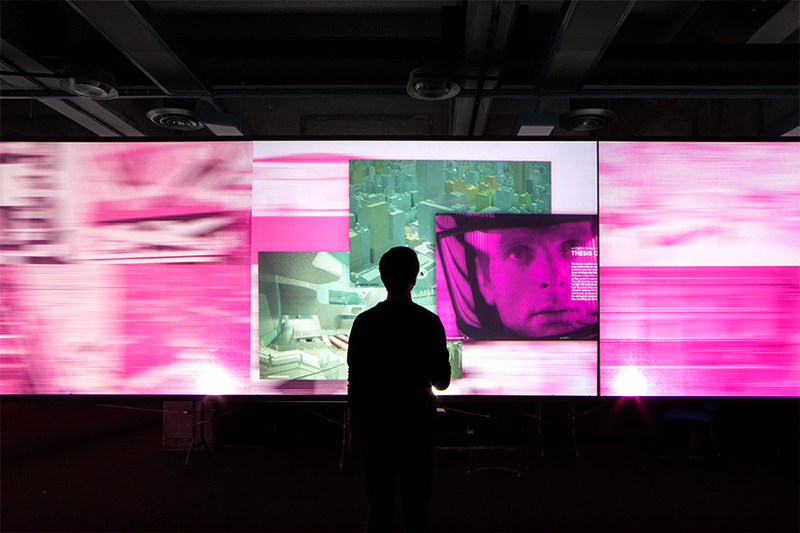 18 projects, comprising a wide range of proposals that demonstrate new possibilities for architecture, were featured on participatory projection displays that engaged visitors through digital visuals and interactive interfaces. 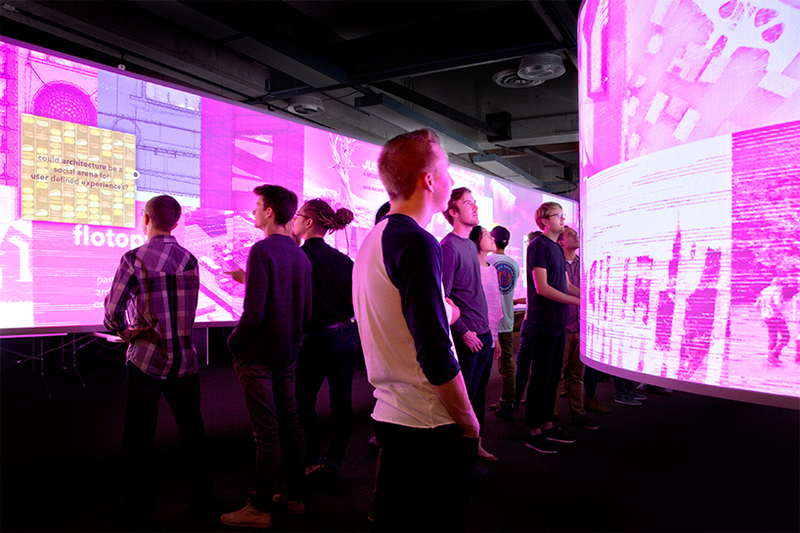 designed and constructed by students in the studio, the installation undulated through the exhibition space, defining a curved perimeter of screens that surrounded viewers in a continuous image crawl of each of the students’ projects. 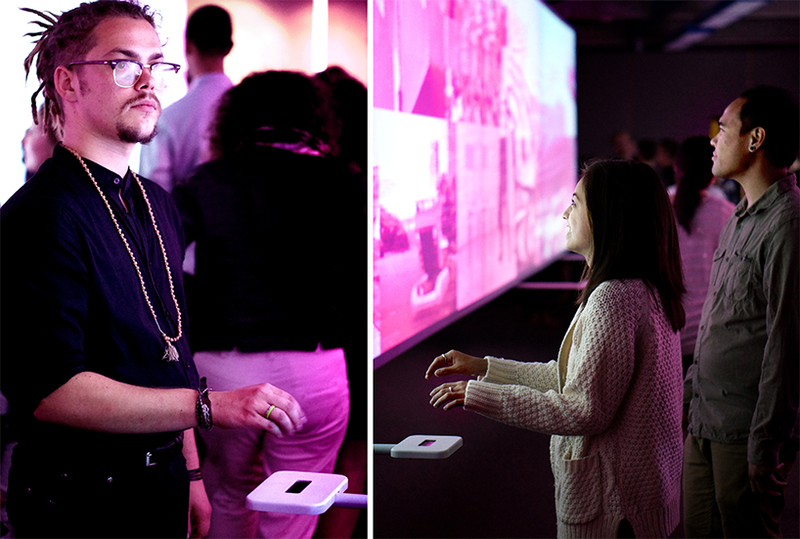 leap motion 3D controllers allowed visitors to control strips of moving images projected on the screens. 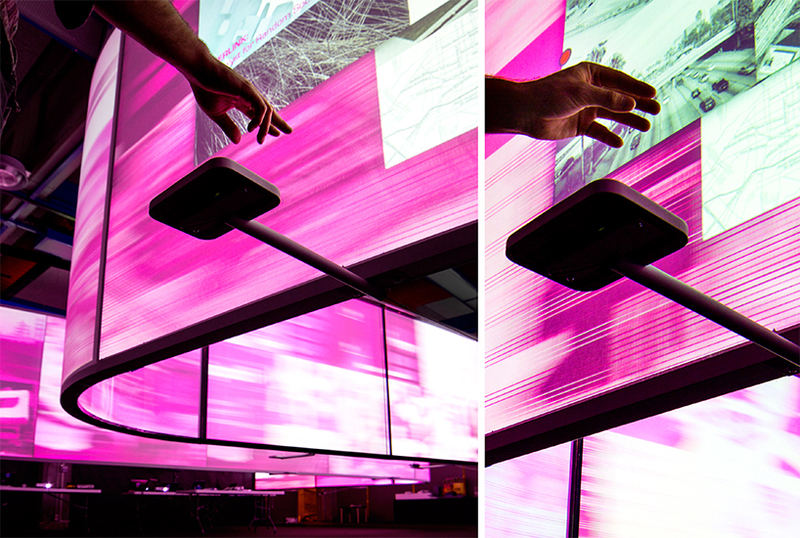 the interface supported viewer interaction though three physical gestures: pushing forward to select content, pinching to grab and move content, and pinching and moving both hands together or apart in order to resize content. 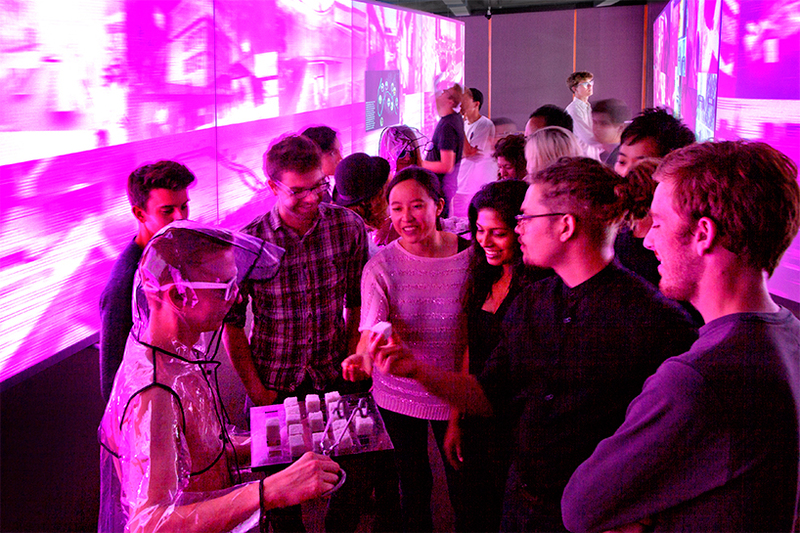 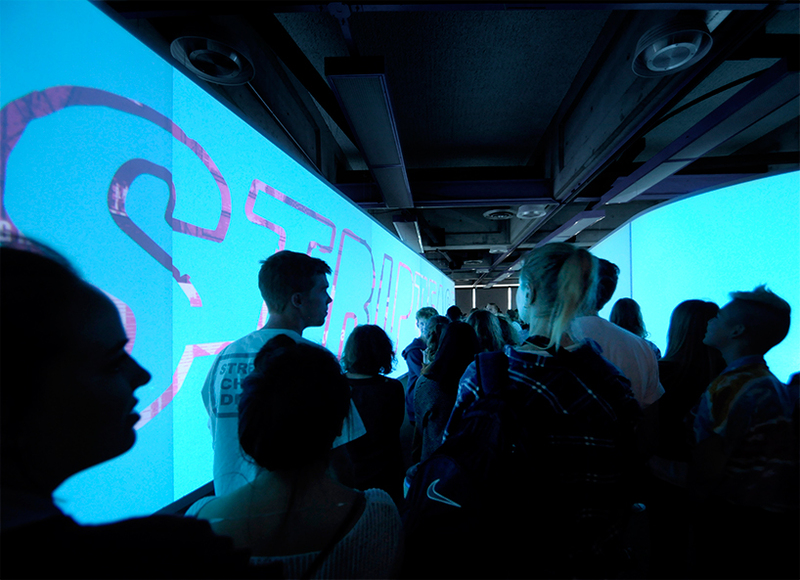 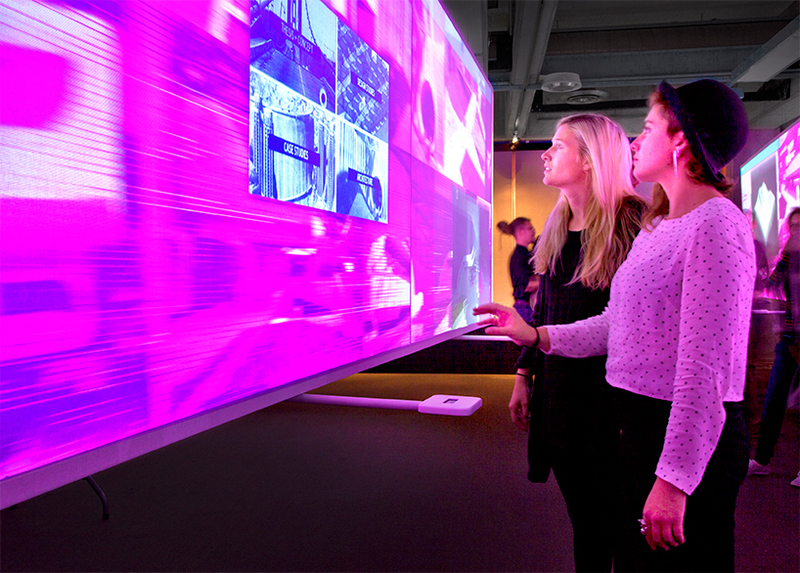 the experience led gallery-goers to a more comprehensive and engaging understanding of the projects, allowing them to personalize their own viewing experience while manipulating content from the constantly-changing crawl.